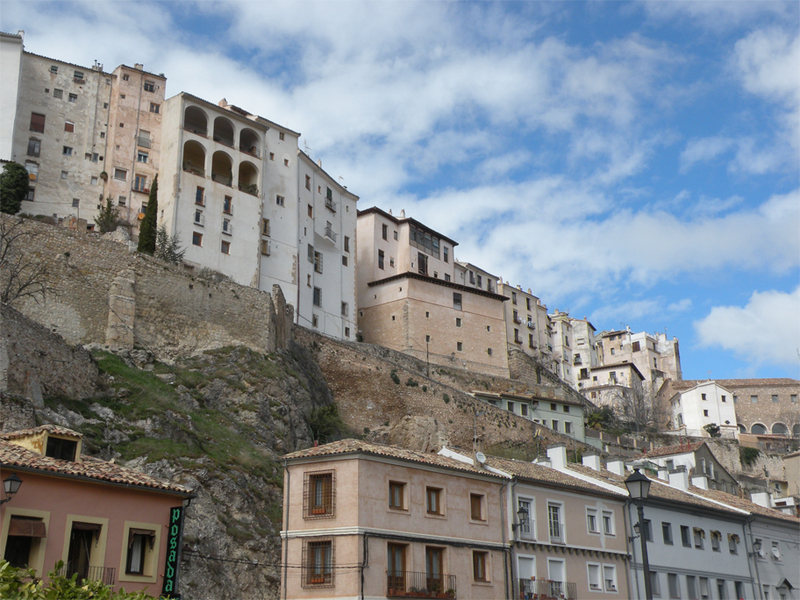 The King of the Hill – Cuenca, Spain. 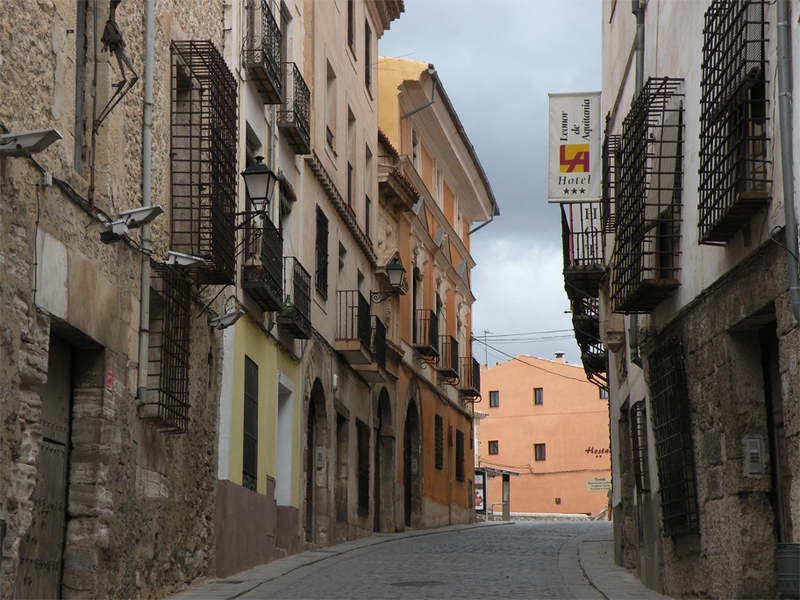 By Sabrina’s initiative we are spending the night here, in a small provincial capital situated halfway between Madrid and Valencia. 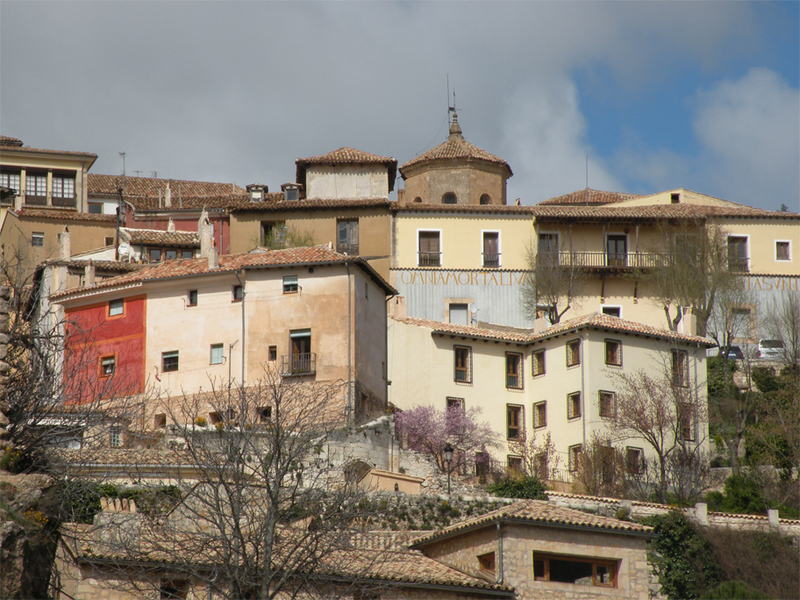 Founded by the Arabs in the 8th century, Kunka – as it was then known – was built to defend a strategic hilltop at the junction of the Júcar and Huécar rivers. Its fortifications were so strong that it took more than 9 months for a Christian coalition to put an end to Muslim rule. To this day the old city still sprawls along the ridge, forming an uneven, formidable wall pierced by small windows and the occasional archway. We follow the riverbank and turn away from the lower town, passing a performance hall nestled beneath the hillside. The change of scenery is almost surreal. 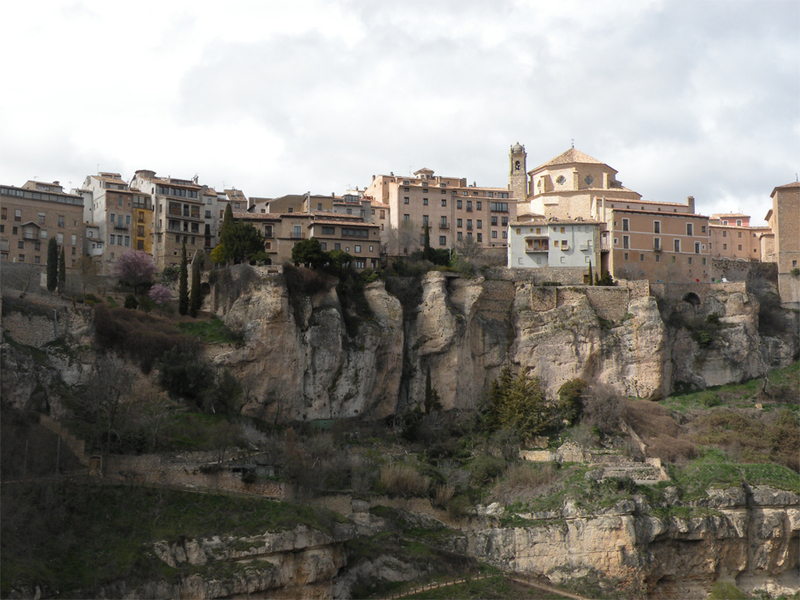 What begins as a gentle slope eases itself almost effortlessly into a dramatic gorge. 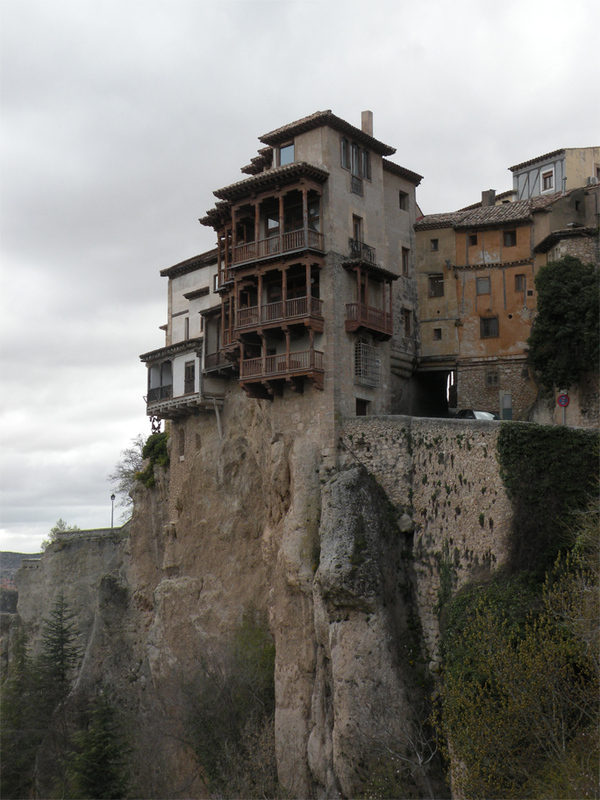 It is here that we get our first glimpse of the Casas Colgadas, the famous“hanging houses” of Cuenca. They are the undisputed icons of the city, splashed across every postcard and plate inside the souvenir shops. 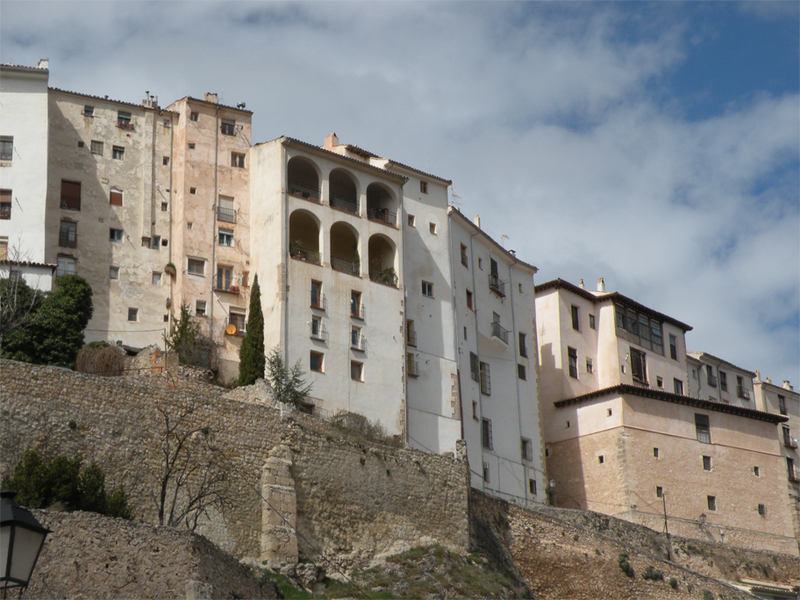 Distinguishable by their antiquated wooden balconies – which hang right over the cliff edge – the 14th-century trio now hosts an abstract art museum and a restaurant. 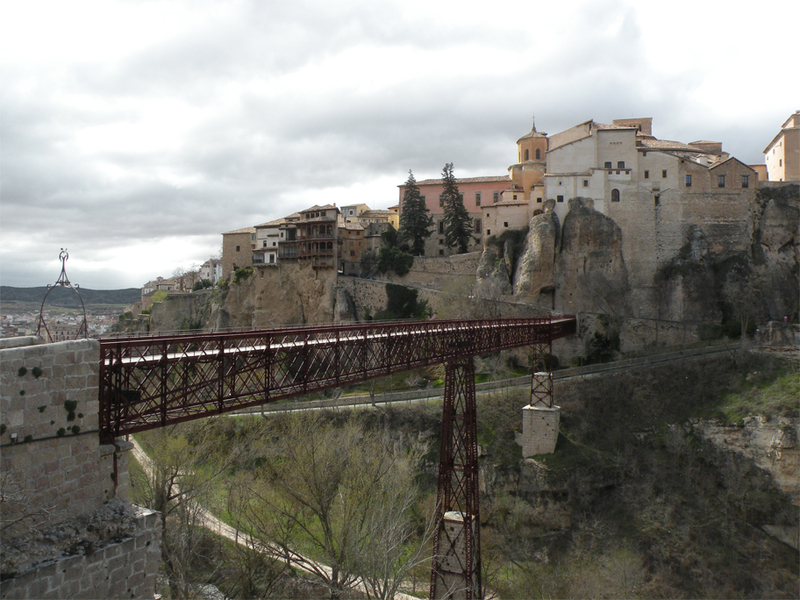 After an easy climb we find ourselves at the landing of a rickety-looking iron bridge. “I’m slightly nervous about crossing this…” Ari’s voice trails off with an uneasy laugh. Without a second thought I take a step forward and plant my foot firmly onto the wooden planking. 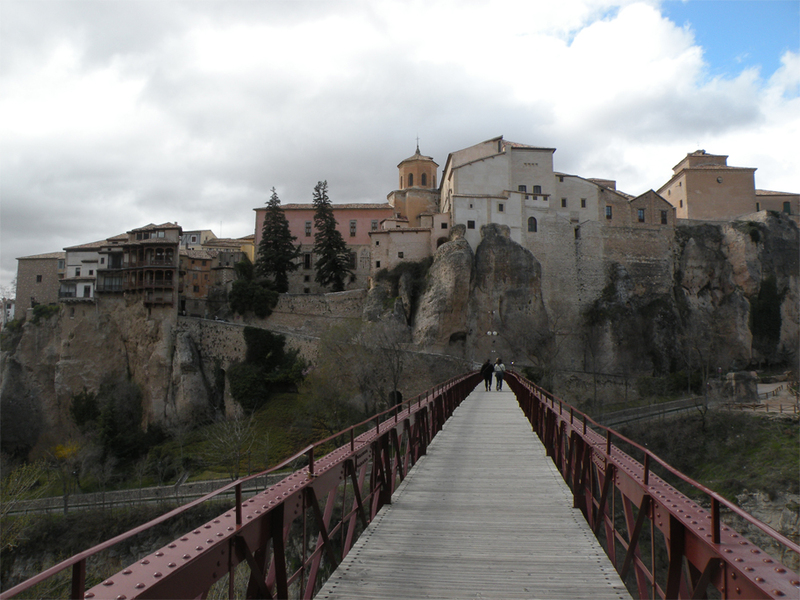 Built at the turn of the 20th century, the Puente de San Pablo (St. Paul’s Bridge) is perhaps the most definitive way to enter the old city. At the middle of the gorge the bridge is no less than 60 metres high, its iron pylons rising precariously from the stones of its 16th-century incarnation. 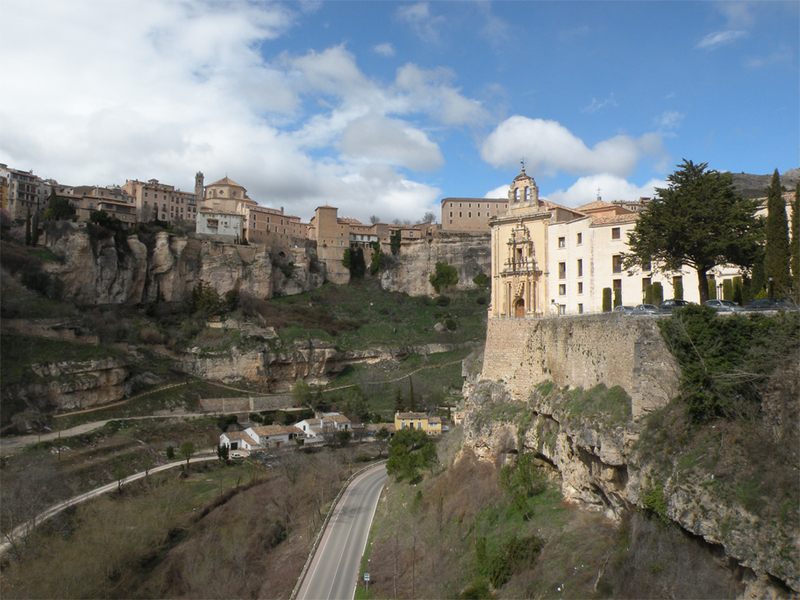 Cuenca, it seems, is no stranger to the process of decay and restoration. The former Convent of St Paul, abandoned in 1975, has since been restored and converted into a parador nacional – a state-run luxury hotel. The city’s cathedral was not so fortunate; its bell tower collapsed in 1902, prompting a partial reconstruction of the damaged façade. Further down the slope stands the Torre de Mangana, a tower which was heavily rebuilt after suffering a lightning strike and the Napoleonic invasion. Just off the Plaza Mayor the four of us huddle over red earthenware bowls of sopa castellana. In the days before central heating this warming, garlicky soup was a necessity for surviving the bleak Castilian winters. No one says a word. I dig my spoon into the ochre-coloured liquid, hopeful for the bits of jamón hidden at the bottom. We had left Valencia in the midst of heavy rain, barely managing to outrun the advancing clouds as they swept their way westwards. 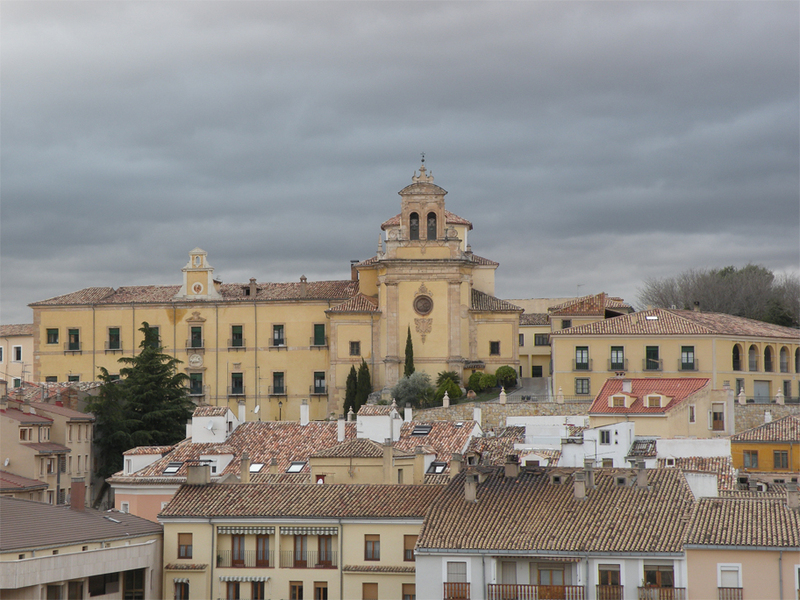 But now the skies over Cuenca were turning increasing shades of grey, accompanied by cold bursts of wind. “Was it really 27 degrees in Valencia?” I pondered. The waiter serves up a dish of ajo arriero, a creamy local spread made from cod, potato and garlic. Tangy and subtle at the same time, it proves irresistible even for Sabrina, who is well aware of the hazards of ingesting too much garlic. 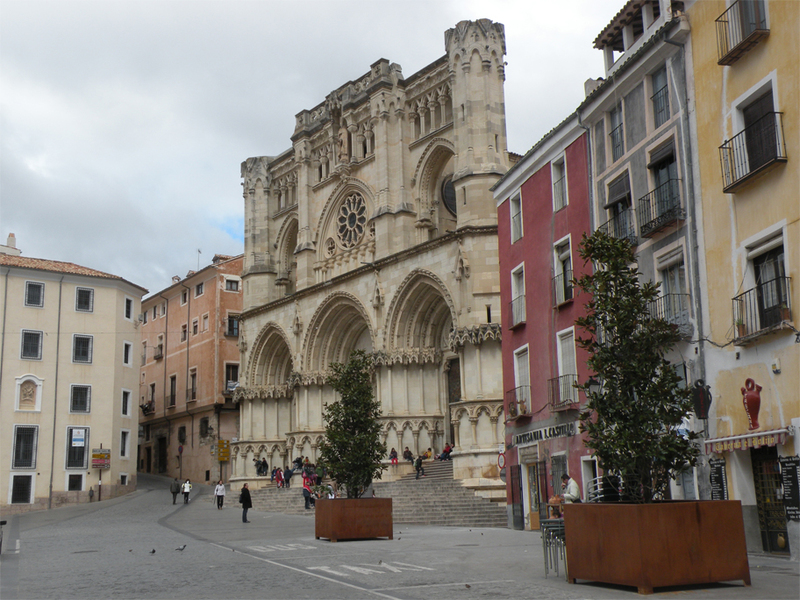 Later that afternoon we brave the strong winds blustering through the upper part of town. 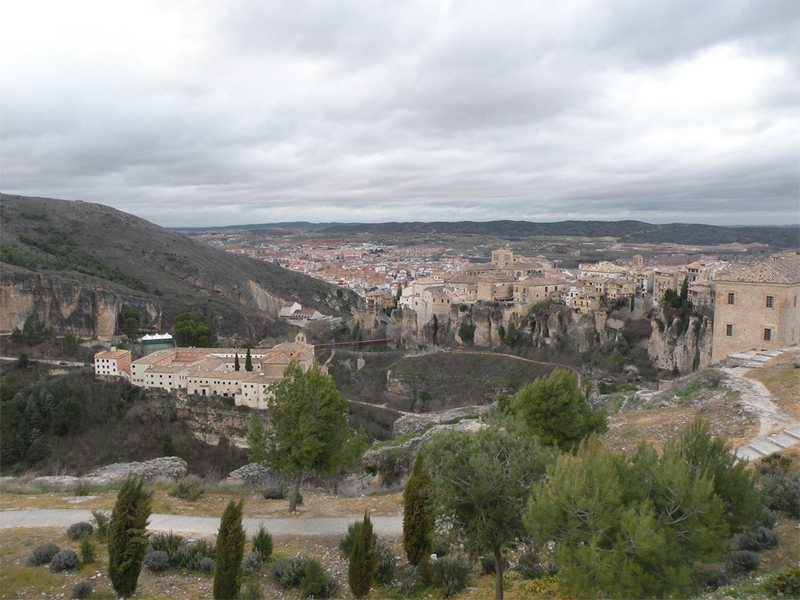 There is not a lot left of Cuenca’s castle, but the view alone makes it worthwhile. Occupying a narrow sliver of high ground with steep drops on either side, the fortress was largely destroyed in the 19th-century Peninsular War, when an unlikely alliance of Britain, Spain and Portugal fought against the schemes of Napoleon. Sabrina turns to us with a subtle air of determination. “I think we’ve pretty much seen everything. Shall we head back down?” We nod our heads in agreement, shivering as the leaves rustle to a renewed gust of wind. There is always a point when the desire to explore is overtaken by the need for some downtime. 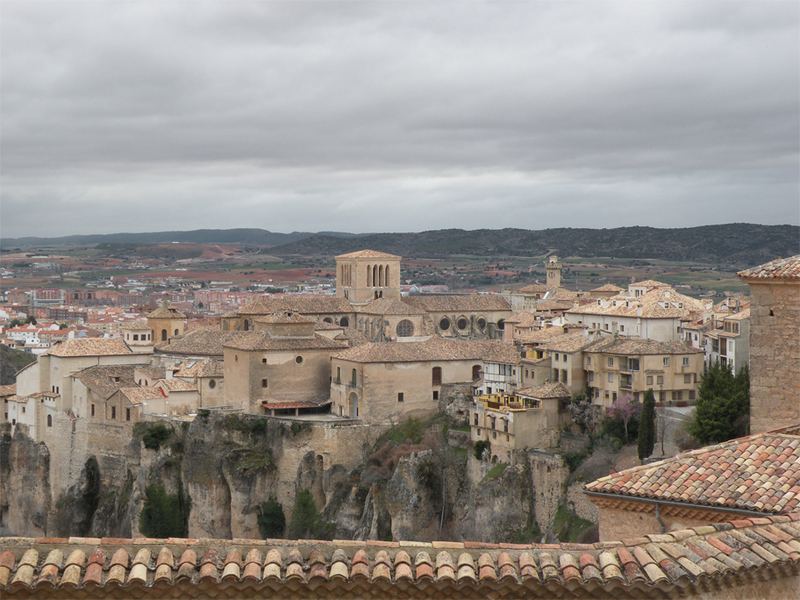 After 6 mad days in the big city, Cuenca was just the break we needed. Wow! I want to go there! I love the Casas Colgadas. They are incredible. I want to go onto the balcony and lean over and just stare down. A few years ago, when I would think of Spain, I wouldn’t picture this. I think I had more of a picture of Latin America (probably quite typical). What a beautiful city. Thanks for sharing, Jam.